Turn to any news source these days, whether it is an app on your smartphone, your television or radio, or even a printed newspaper, grim stories of world war and conflict emanate from them all. Unfortunately, war and conflict are still a part of our daily lives, despite any past efforts or platitudes made to stop them. For example, World War I was touted to be the ‘war to end all wars’ when it occurred between 1914 and 1918. But, as history shows, World War II followed from 1939 until 1945 with countless other conflicts taking place since then. It is no secret that wars take their toll on people’s lives. Soldiers in the field as well as relatives back home suffer the consequences of the brutalities of war. For soldiers returning home from a conflict, the pain and suffering does not end. In fact, their struggles continue as they try to reintegrate back into regular society. Margaret Lindsay Holton’s short film The Frozen Goose takes a look at one particular family’s attempt at dealing with post-war trauma. In this 25-minute short, Tom (John Fort) returns to Canada after serving at Vimy Ridge with his friend (David C. MacLean). After his friend dies in battle, Tom promises to take care of his friend’s wife, Helen (Leslie Grey), and his two children, Bella and Charlie (Hannah Ralph and Cameron Brindle). While Tom tries to find his place within the family and in life, Bella and Charlie take matters into their own hands. The Frozen Goose will be making its Canadian premiere at the Art Gallery of Burlington at 3 p.m. on September 11th. But before this first public screening, Short Film Fan reached out to Lindsay for some of her thoughts about the short, including the challenges experienced while making it and what she hopes the audience will take away from it. Short Film Fan: What motivated you to make The Frozen Goose? Margaret Lindsay Holton: I had been shooting short (under 15 minute) documentaries of interesting characters and locations for the past 5 years for local news outlets, and decided I wanted to step up my game and attempt a ‘scripted’ work. To that end, and as I am self-taught, I wanted to be sure I had a ‘good story’ out-of-the-gate. My short story, ‘The Frozen Goose’, was first printed as the last story in a well-received WWI anthology in 2014 called ‘ENGRAVED: Canadian Short Stories of World War One’, published by Seraphim Books. This is a very good place to be – the ‘last story’ in any collection is proof positive that it is a ‘good story’; otherwise the editor wouldn’t have placed it there. On the strength of that, I then scripted The Frozen Goose. After several readers had read the story, and some small adjustments, it was ‘locked’ as a screenplay in August of 2015. I knew I was ready. SFF: Where was The Frozen Goose filmed, mainly? 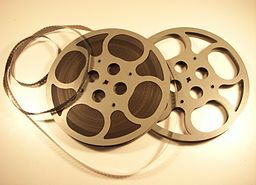 SFF: What were some of the challenges you faced with making this film? MLH: The most challenging was the capriciousness of the weather. Ten days before the scheduled shoot there was no snow on the ground. There was no ice on the chosen lake. I was frantically considering alternatives: shooting on fake snow at a nearby ski resort or using large green screens or postponing the shoot altogether. But luckily, and literally overnight with plummeting temperatures, it snowed for three days straight. It also snowed, remarkably ‘on cue’, while we were shooting our final scenes. Unfortunately, it was not quite cold enough for the lake to freeze up properly given such a short time frame. So, for safety reasons, I opted for an available shallow frozen pond for the last day. We did manage it, but just! The second challenge was the budget. In retrospect, it was a pretty ambitious period film, done on a mini-micro budget of $11,000. If I was to remake this work, I’d definitely start with more cash on hand. But, in some respects, I wouldn’t have known that until I tried it. Hindsight is 20/20. SFF: The recruitment posters definitely gave the film the authentic period look. Where did you find them? SFF: Do you feel that rescue near the end was what Tom needed to finally affirm his place in the family? MLH: Yes. It was my intent from the onset to have him as a somewhat ambiguous character with audience unsure whether to like or loathe him. (i.e. Did Helen’s husband actually take a bullet so that he could live?) After the war, he was damaged and broken; tormented and locked in a kind of emotional exile. He was suffering a form of PTSD, or, ‘shell shock’ (as it was called back then.) He was trying to adjust, fit in and help. But, he was failing on all fronts. His redemption comes at the very end when he steps in to save the children. We get a glimmer of the better man that he really is. It is slowly understood that Helen’s hero-husband chose him to look after the family for very good reason. There is hope for all, after all. SFF: What messages or lessons would you like the audience to take away from The Frozen Goose? MLH: Initially, warfare may seem ‘glorious’ and ‘heroic’; even fun for some. But, the brutal reality is this: war shatters humanity on every level. It doesn’t matter if it is World War I, II, or III. Real war – not Hollywood make-believe war, but REAL war that intends to kill others or be killed in the killing – demands far too great a sacrifice from us all. Loved ones die and, really, for what purpose? A momentary ‘killer high’? To just ‘win’? For whose greater glory? Bragging rights? Nationalism? Ideology? A flag? A religion? Territory or resource securement? Surely, at this point in our combined evolution, we, as one species on this planet, can and should know how to live better amongst ourselves. War also clearly has reverberating repercussions that extend far beyond the immediacy of a ‘battle field’. In this instance, even though only one of the characters of this story was at the ‘front line’, every character has been damaged. Grief, fear, anger, uncertainty and all the torments of unsettled minds churn in the tail-winds of war. Peace – true peace of mind and spirit – can only be achieved when the ferocious ‘wolves of war’, real and imagined, are banished forever from our hearts and our minds. This is not a fairy tale fantasy. It is a choice we can all make about living and life. Short Film Fan Review: The Frozen Goose is definitely a timely film, even though it was set after World War I. Today’s Canadian soldiers returning home from conflicts in Afghanistan face similar issues with PTSD, as recent news reports have uncovered. It is also timely in that April 2017 will mark 100 years since the Battle of Vimy Ridge took place. 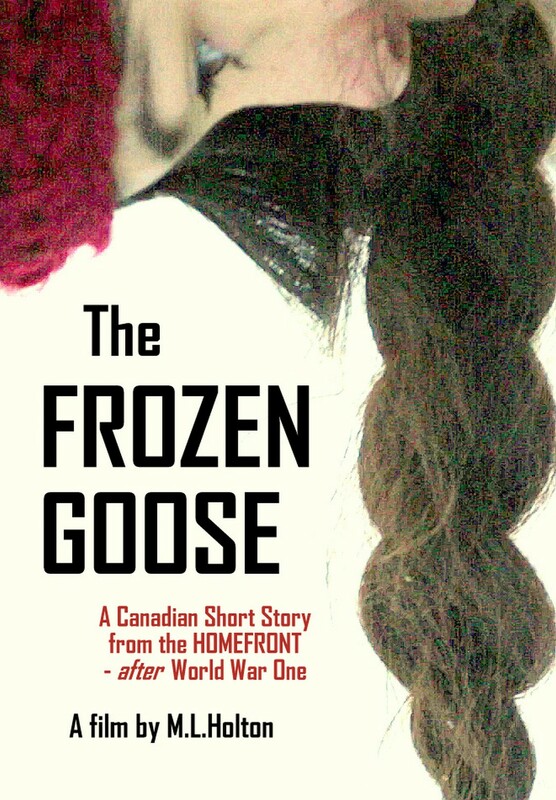 The Frozen Goose would be perfect to use in educating future audiences about PTSD issues as well as the Vimy Ridge conflict itself. Finally, as previously mentioned, the posters in the shop short were an excellent addition for a post-war look and feel. You can also follow The Frozen Goose on Twitter and Facebook. All the best to Lindsay and everyone else involved in The Frozen Goose for a successful premiere on September 11!